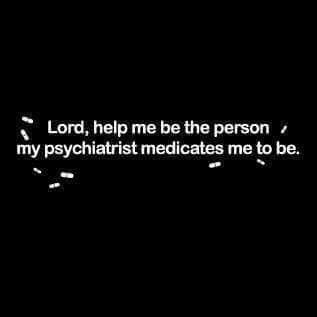 We're getting ready for the release of our new book, Committed: The Battle Over Involuntary Psychiatric Care on November 1, 2016 (~great reading for after the election, if I do say so myself) and I found this to be very relevant. My friend, blogger buddy, and mental health advocate Pete Earley went to India recently for a few days. That sounds tiring -- but Pete is full of energy and so what's not to like about a few days on the other side of the world? He's been blogging about mental health in India, and the first of his 3 part series is called Patient Rights is a New Concept in India, I learned. Pete talks first about how little psychiatric care there is in India: 6,000 psychiatrists for 1.3 billion people. It's an unthinkably low number, and there are roughly the same number of total beds there as the public system has in our country. What a disaster. And patient rights? : unheard of. It's a different culture, one in which patients don't question doctors, but also one in which the mentally ill are chained, abused, or left to starve on the streets (ah, tragically we do that part here, too). Pete was the keynote speaker at a conference on Rights of Homeless Persons with Mental Health Issues. In his post, Pete talks about his own experiences with his son and involuntary care and his belief that this is a band-aid, not a solution, and that it helps to come to view the world of the patient through his eyes for a longer-term solution. So it won't surprise you if I mention that Pete wrote the foreword for our book. His few pages are an amazing piece of writing, and they draw you in and round out the book because he really does a wonderful job of capturing the desperation of a family member watching helplessly as his beloved son became so desperately ill. I wanted to tell you share our excitement over the upcoming release of Committed, and I also wanted to send you over to Pete Earley's blog to read his stories about India. And of course patients should have rights, what kind of nonsense is my title? Okay, so we all have our strengths and our weaknesses. I get calls from people all the time and they tell me their problems over the phone, but sometimes we don't end up scheduling or they don't end up coming, so at this point, the story isn't the story until the patient is in front of me. But once there is a real live person in my office, often in pain, with a unique personal history, parts of which I hear over and over with time, the story gels. I remember sons and daughters and mothers and fathers and spouses, and deaths and pets and who cheated and who left someone feeling so very badly. Sometimes I have to hear it twice or I forget the precise details, or I cheat and look at my notes between sessions, but the big picture stuff: I get it and I remember it. It comes naturally, there's not much trying. I live in a family where everyone is really excited about sports. My kids played sports. I went to their games. I had no clue what was happening, kids who all looked alike in uniforms and helmets ran around the fields. Sometimes someone hit a home run or scored a goal and that was exciting (if I was even paying attention) and sometimes I knew the other kids, so that helped a little, if I could tell which kid was which in rapid motion in all their gear. Whole games went by where I watched my kid only to discover, oops, not my kid. Okay, so my family isn't just a little into this. Season's tickets to the Ravens games and my son writes for a fantasy sports website (this is a real job). My daughter went to every college football game and also loves the Ravens (and particularly ex-Raven Torrey's Smith's baby). They all know the rules. They all wait for Sunday. And Monday night. And Thursday. And college football on Saturday. They know all the players. They dress in purple. It's fun. Fun? I know a few of the players, but these big guys in funny looking costumes are hard to keep straight. Flacco, I got you. Ray Lewis, #52, but he's no more a Raven. Suggsy...T-sizzle...are you even still here? And it's not quite the game...I know the basic rules: the purple guys run one way to a goal and the other guys run the other way. 4 downs to get 10 yards, and then it resets to the next first down. MOVE THOSE CHAINS!! (I'm good, right?). To get a goal, you get to the end zone and have the celebration dance. If you don't get far enough by the third down, you can try for a field goal or punt to the other team and hope that you get it down far enough on the field that they start with a lousy position. Time outs, hail Mary's, I mean I'm golden. Still, I have no idea, and if I know the score and which team has possession, I'm doing well. The details of every play, might as well be speaking Swahili to me. And those yellow flags everywhere-- the calls and the penalties all seem so random. So by some family quirk, we root for the Ravens and we root for the Red Sox. This is serious business. Today we went to a Red Sox -Orioles game. Both teams vying for first place and the stadium was empty. Big Papi, Mookie Betts (did you know he's a professional bowler too?). Xander Boegarts, now there's a great name. The rules, I have down, but again, I'm doing well if I know the score and who's at bat. Sometimes I remember who hits a home run. But unlike my family members, I don't remember each player's performance on the field and at bat for each inning. Someone slid into second and he got his uniform very dirty. The Red Sox won, my family was happy. So I have tried to memorize the line up, to make the players real so they would come to life and maybe I'd remember their stories. But they are like the people on the phone who may or may not show up, and the truth is it's hard to find much personal information about them. I want each each player to do a YouTube discussion, a few minutes of "here is my life," with some stand out things, interactions with their family members, parents who helped them become pros, what they aspire to, and maybe then, if football was more like psychiatry, I could feel invested in the players and their professional performance. I mean really, what could be more exciting for pro sports?